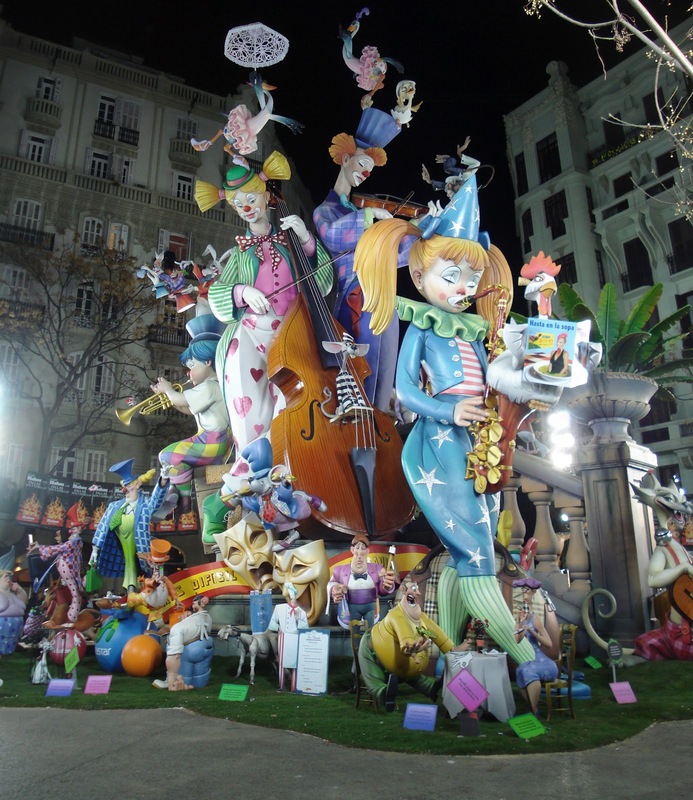 I list them in no particular order, but these are the usual suspects, the must-see fallas that everyone was talking about this year. 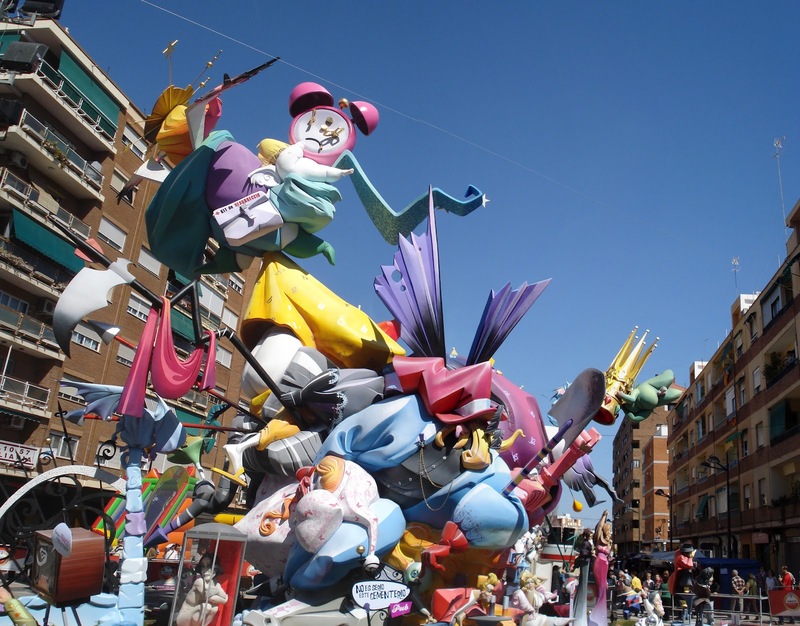 overspend public money on Fallas this year. Honest!" The real buzz for Sueca was its light display, but the falla was also good. first time building a top category Falla. Well done! most expensive and largest falla. "Resurrection" theme was quite entertaining. I still loved their style and execution of it. They are definitely on my radar for future Fallas! This was a big year for this falla, for them to score the 2nd place in the Special Section. 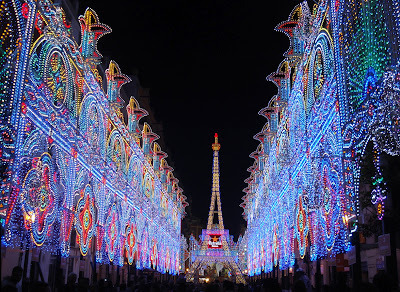 And they also had an excellent lights display (see below). a technique which is apparently a specialty of the artista faller. 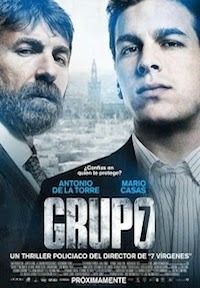 It won the "Ingenio y gracia" (ingenuity and grace) Award, and was well deserved. Their theme this year was fun: "Aunque la mona se vista de seda, mona se queda." 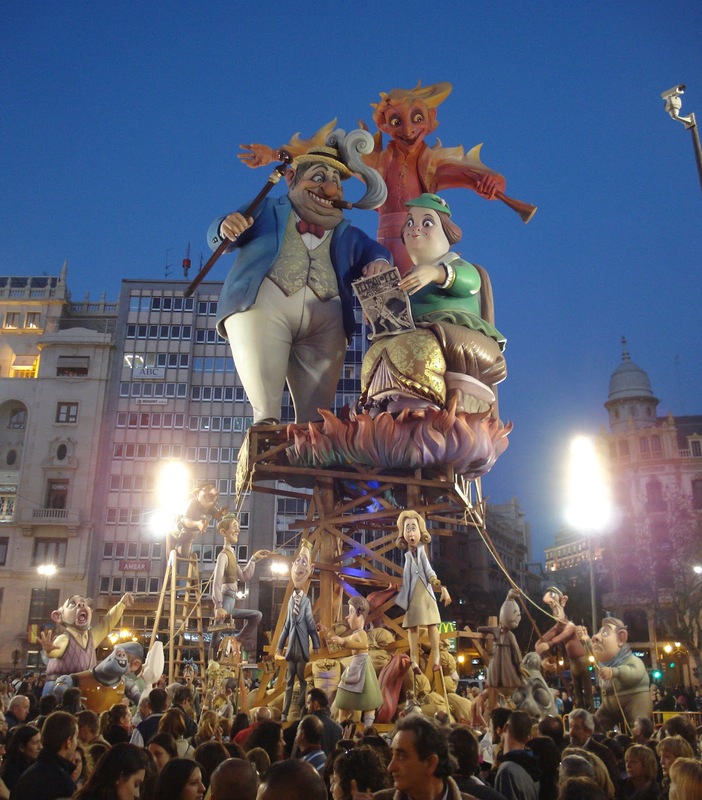 More than the overall effect, what I liked about this falla was it's many playful ninots (see below). 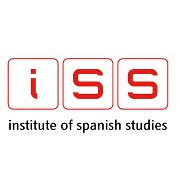 orientation of it to better effect. theme was bland safe, but it was masterfully executed. 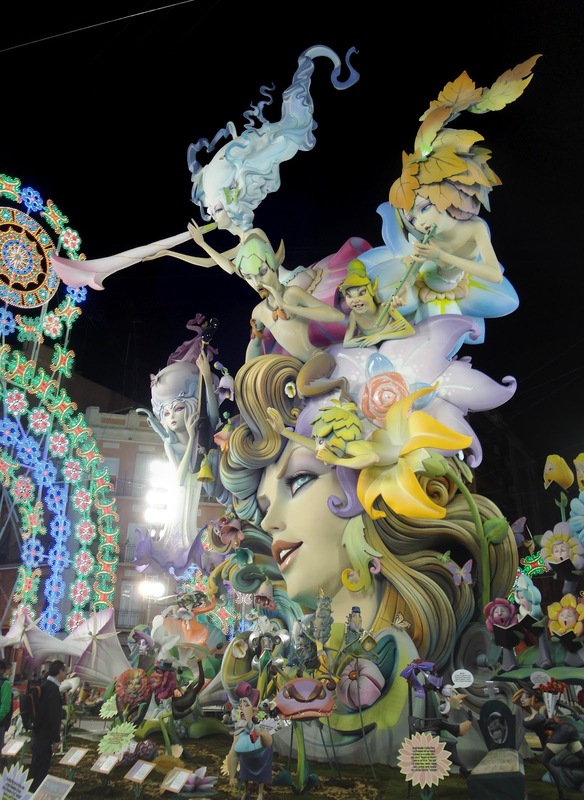 (12) [Insert your local falla here]… For me, Trinitat! 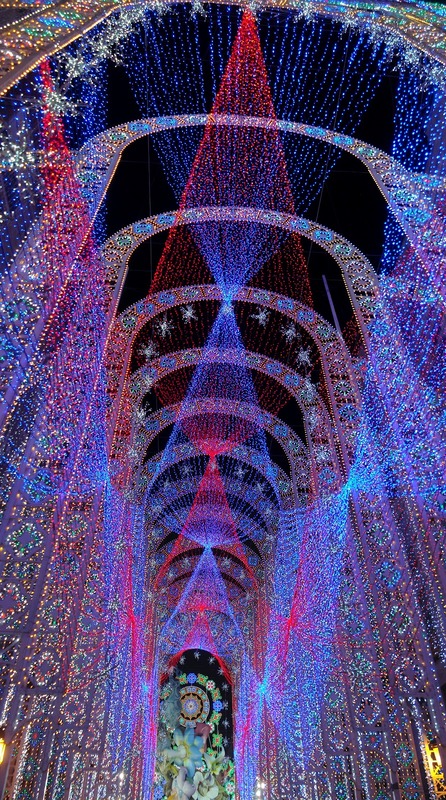 My humble barrio had a good year this Fallas. 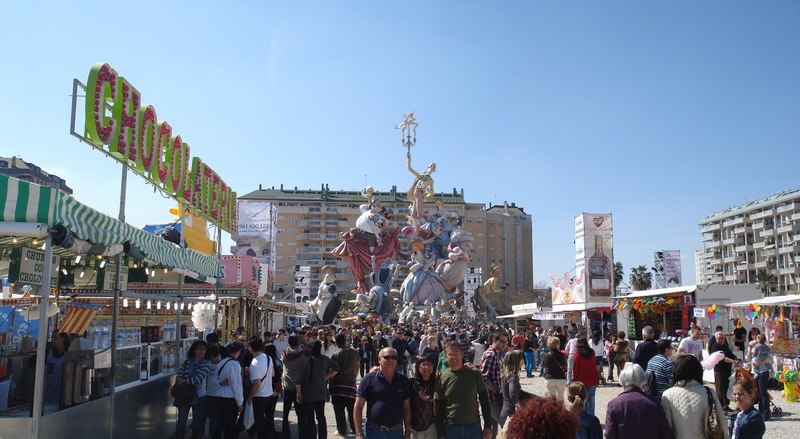 The Falla Trinitat won 1st place in the "ingenio y gracia"
area within its Sección 2A, and its falla infantil won 1st place in Sección 5. Go Trinitat! pretty much becomes its own satellite festival during Fallas. and is therefore my personal tops for 2012.
that really caught my eye this year, and which I think deserve an honorable mention. depiction of a fantasy, fairytale world! Congrats to them for getting 1st in their Sección 1A! Okay, this was easily the biggest letdown for me this Fallas. This won 1st place!?! is having an intuition about what is too much, and I think they crossed the line. 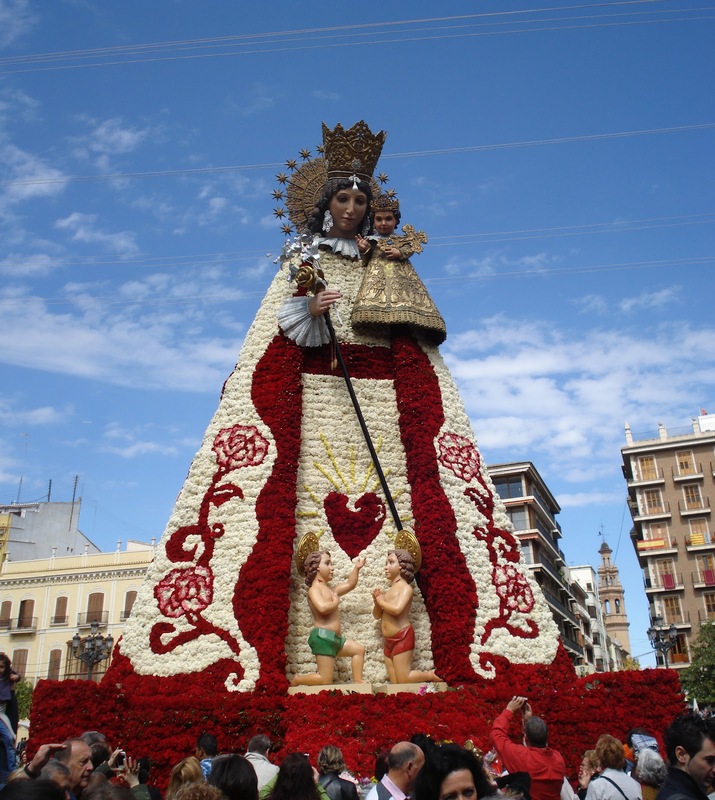 Valencian Tale, Tirant Lo Blanc, which only added to its charm. an Eiffel Tower out of lights. 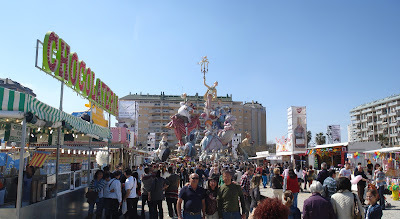 It was the talk of the town throughout Fallas. Indeed, I hope this will encourage other Fallas to experiment with this area in the future. got some recognition (2nd place) for its lovely lights. and saved for all time in the Fallas Museum. 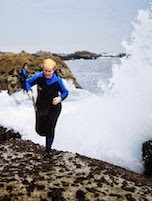 A reader (Victoria) reminded me of this tradition. Falla Maestro Gonzalbo: Spain's late for a very important date with Merkel! 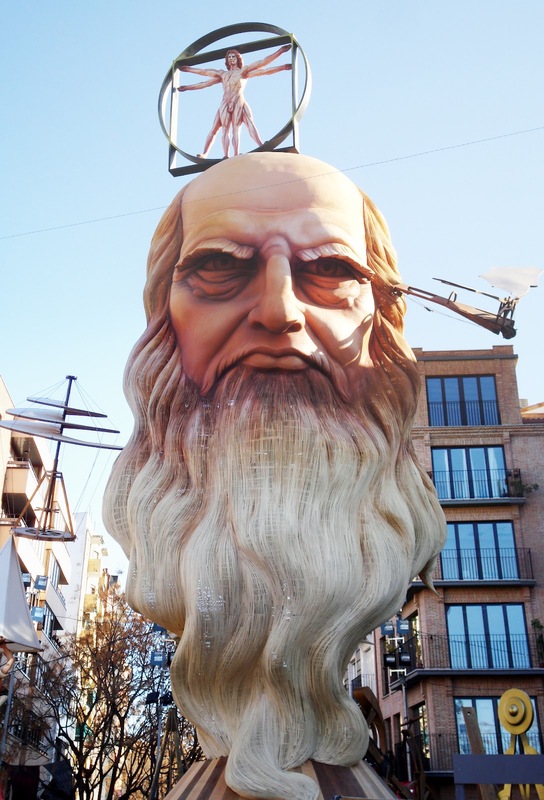 a recurring object of political taunts this year in Fallas. to get these falleritos back from the ofrenda. 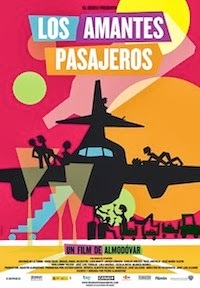 An aside: This year one thing the falleros couldn't avoid... Political protests over recortes at the Ayuntamiento mascletà. This year I got invited to a friend of a friend's falla's paella street party. 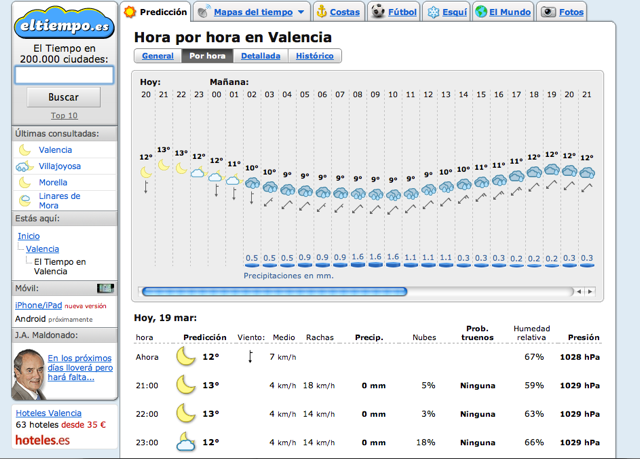 (The perks of being more settled in Valencia!) What can I say, our host, Jesus, Sr., cooked some delicious paella valenciana. I couldn't resist snapping a photo. Classy! Pim, pam, pum. Awesome. No disappointments with the mascletàs. These sound fireworks shows were great! Here's my recording of the final mascletà, as well as an early morning despertà in my neighborhood (it was like this everyday at 8:30AM!!!). 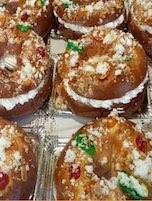 Caballer did not let us down with this final March 19th mascletà. I'm certain my hearing will be impaired for weeks! 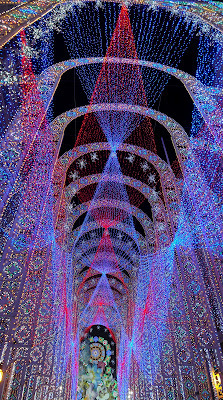 Castillo for Nights 2&3 were, by all accounts, the best this year. Here's my video for Night 3, pardon the auto-focus trouble. I first watched the Falla Exposición burning. 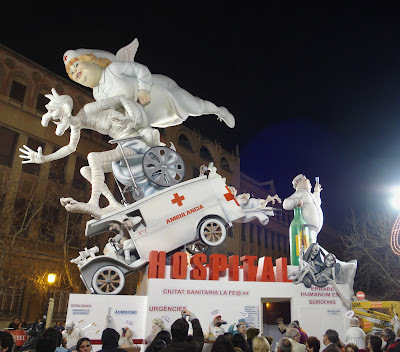 First you see them dousing the falla with flammable liquid. Around minute 2:25 things pick up. And at minute 5:30 the fire really starts to burn. A friend's recording of the Na Jordana burning, which as you can see was incredible, with the flame going up and inside Leonardo's head. Brilliant! And then, with almost uncanny timing, it started to rain. 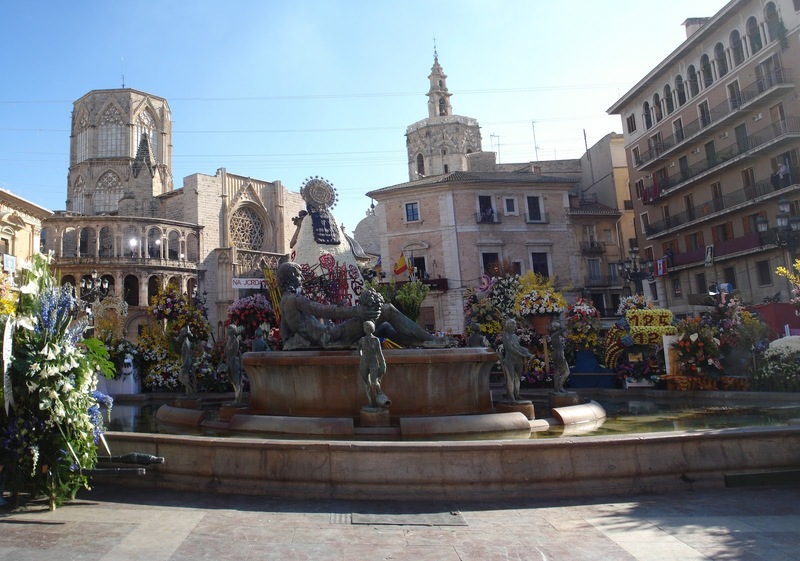 Only 15-20 minutes after the Ayuntamiento Falla had mostly burned down it began to gently pour, washing away the ashes... How perfect is that? 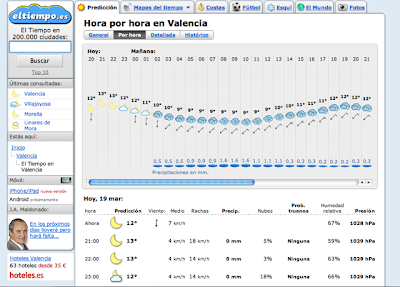 Like clockwork: This was the weather forecast just hours before La Cremà. Note how it predicted rain at 2AM, and God obliged. 1) Beware the Valencian liquor, anís de cazalla!!! Let me splain. No, let me sum up: I tried this stuff and let's just say I had a night to be remembered, or really to be forgot. (Santi, a.k.a. Obelix: Why did I let you talk me into trying it on an empty stomach?) This is strong stuff. Be advised. 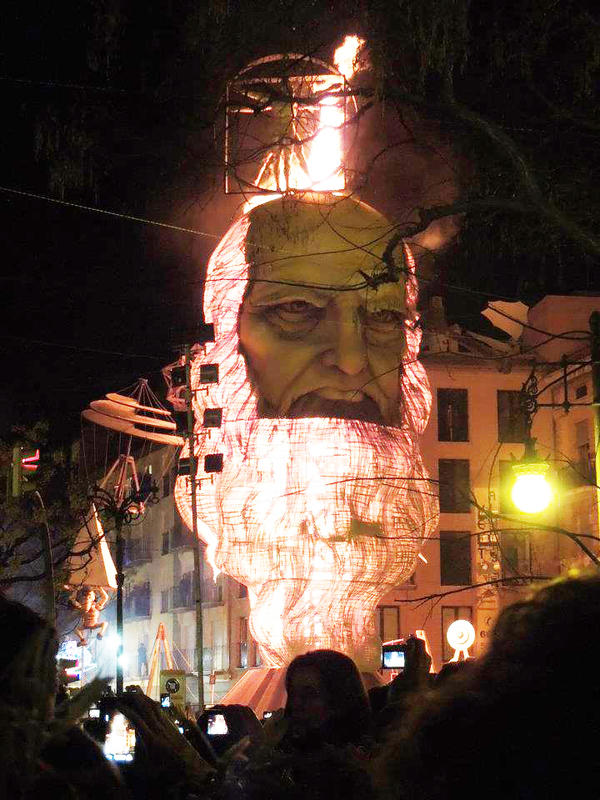 2) Arrive to your Nit del Foc viewing party spot early, definitely not just 15 minutes before it starts. Hoards of people watch this —I heard a figure like more than half a million— and there is only so much hoards-of-people viewing space along the river. So if you are intent on watching it without being crushed by said hoard of people, you probably should go 30 minutes to an hour ahead of time and find a good, safe spot. 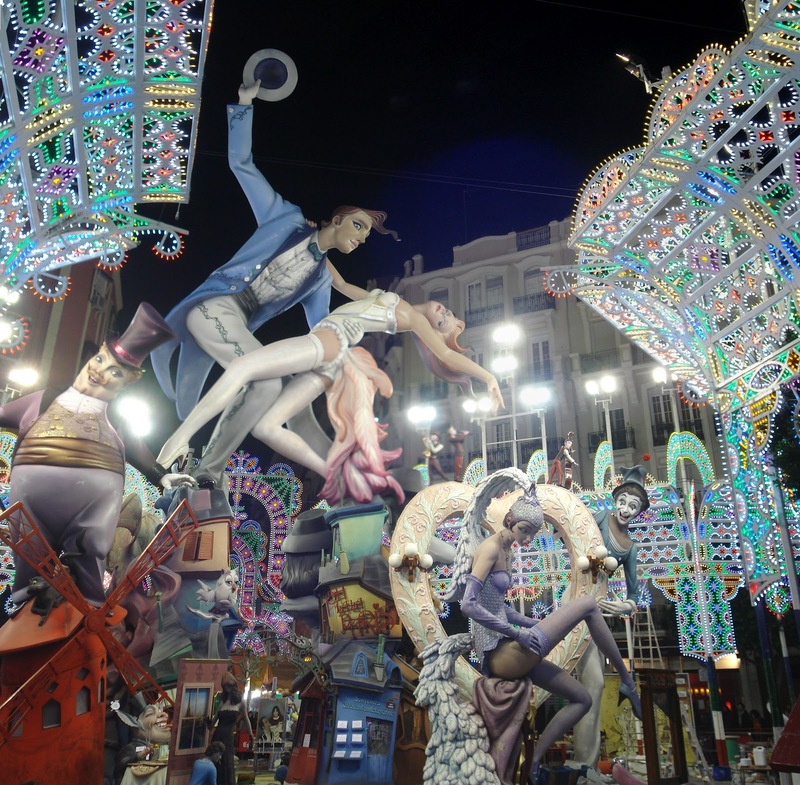 3) A real aficionado of a Falla goes to see that falla both during the day and at night, because it looks different. Sure, you wanna see them all. But try and see at least one of the good ones twice. It's interesting watching it transform from daytime-mode to nighttime-mode. 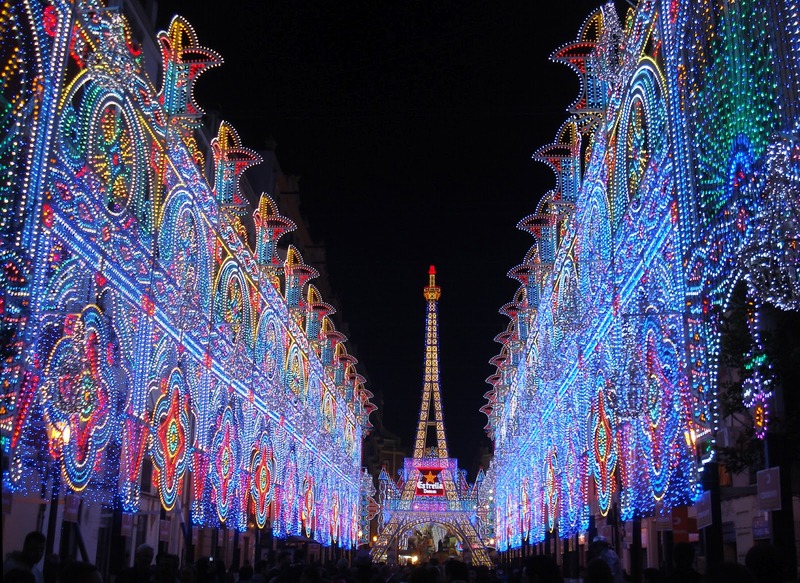 4) Go to the lights show in Russafa early (i.e. the night of the 15th), before the hoards of people make it a nightmare to visit. 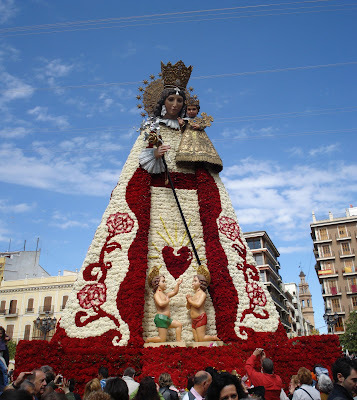 Really, Valencia's population doubled this year with all the visitors, and the streets around the Russafa fallas (and Convento-Jerusalén falla while we're talking about it) become impossible to navigate, and thus enjoy the sights. Be advised. 5) Bikes open up new horizons… like finally getting to see the Falla Nou Campanar! This and L'Antiga are really out there in the middle of nowhere. (Sorry Campanar neighborhood, just saying.) So it was doubly sweet to be able to ride my bike through the River Park and up some bike lanes to see them. It was worth the trip. But then again, any excuse to take the bike out for a ride is a good one. And that's it. "It's over. Go home." Come back next year. That's right, it's March 20th, so everyone is back to work here (well, excepts those "en paro"), so there's no point in lingering. But don't worry! We'll be back next year, I promise, and the following, and the follow. So the good times will roll again! Forget the hangover, when do hope to regain your sense of hearing ? Thanks for this recap! It's hard to get a sense of the monuments from pictures, but I think I would have liked Na Jordana and Exposición as well. Looks like there were a quite a few cheesier-themed monuments this year. Wish we could have been there! Why La Mercé is a "must see"? 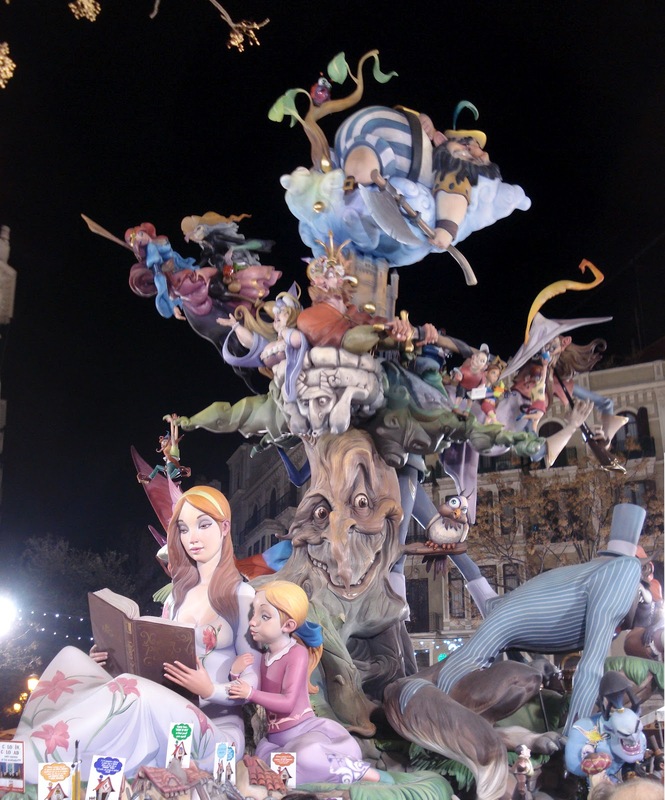 Because it sits well to us, it's a nice "falla" (as a group, as a "concept"), they are one of the historic top 4 fallas (Na Jordana, Convent, Pilar i Mercé), a former champion and in the 90s they suffered some unfair decissions, achieving only 2nd prize when they deserved to be 1st. 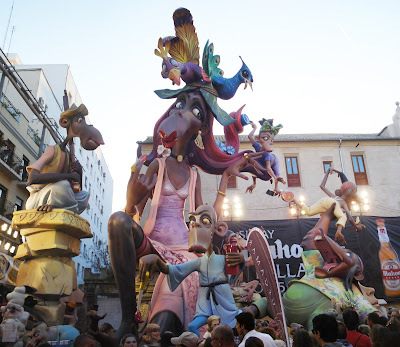 They are also the falla in Especial category with less "falleros", so they make a huge effort to be there. It's also near Ajuntament (2 minutes walking) and in a spot that makes it more spectacular (you'll see when all buildings are finished). It's like River Plate... yes, they are "relegated" but they deserve our respect. Mr. Grumpy, WHAT? SPEAK UP! I CAN'T HEAR YOU! Laura, in recent years Almirante has really won me over. It is always a class act. I'm willing to concede 1st to Nou Campanar in the regular falla category. Theirs was impressive (even if Na Jordana did much more with much less). But in the infantil I really think there was no contest, Na Jordana's was much better. Mike, glad you could get a taste of it virtually. Hopefully next year you'll be back here and can blog about it yourself! 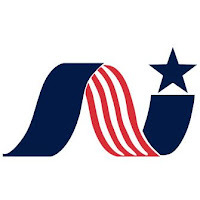 Sensenick, thank you! This was exactly the kind of answer I was looking for, and had suspected. So I'll backdown. I can appreciate the importance of supporting the underdog. I agree that the (never-ending) construction there didn't help, and was not their fault. Born and raised in Valencia for 31 years now I live in USA with my american husband and son.Since we are here we didn't see Las Fallas and I hope some year we could all be there in March to see them.I was happily surprised to find your blog. Your information and advices are right on. Your "valenciano" is correct (probably your wife helped you with that), your pictures and videos cover the most principal aspects. I like the before/after of the ofrenda. Could you add the "ninot indultat"? The winner was from Almirante Cadarso, I think, in honor to "Chita". That would be the only thing I was missing.Great blog. I'll be looking for it next Fallas. Thank you for such a great job! Victoria. Victoria, thank you for reading! 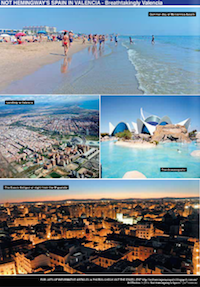 I'm glad to think that this post might offer some comfort to homesick Valencians abroad. And thank you for reminding me about the ninot indultat! As you can see, I added a photo of "la mona chita" in the prize section of the blog entry above. My wife does offer me invaluable edits on my posts, though let me boast that usually my errors aren't with valenciano (where I'm very cautious about getting it right), but with the English, with which I'm much sloppier. Thank you very much for adding the ninot indultat.I'm going to refer all my American friends to your post if they want to know about Las Fallas, Valencia or Spain in general. I'm very homesick indeed and your blog made me feel better. Thanks again. Victoria.